What happens when multiple pathogens collide? The immune system is our chief defence against infection, but it is a double-edged sword. Immune responses can also be harmful or even fatal. The optimal response to infection is one that is perfectly balanced: strong enough to clear the pathogen, but restrained enough to keep collateral damage to a minimum. 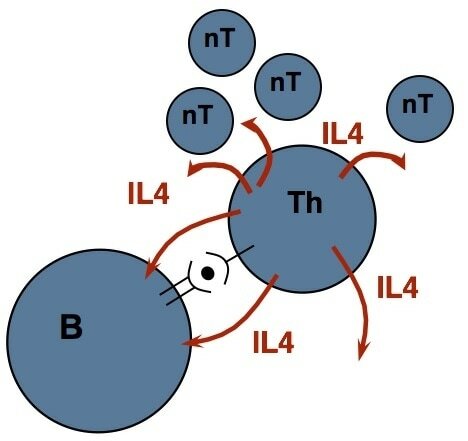 Our lab is working to understand the mechanisms that control immune balance. We study the impact of cytokines - secreted, signalling molecules that mediate communication between different cells of the immune system. Cytokines dictate the size, speed and quality of an immune response, and their potent influence makes them attractive targets as therapies in a variety of immune-mediated diseases. We use viral, bacterial and parasitic infection models to analyse cytokine responses in vivo, during a physiological response. Our goal is to provide knowledge that will enable cytokine signalling to be manipulated in the clinic, to improve patient outcome during infection, inflammation, and other immune-related disease. A summary of our research was published recently by UBC’s news team, here. Since then, we have moved from UBC to the University of Glasgow in Scotland. 1. What regulates a Th2 response? Do cytokines influence metabolic decisions - and vice versa? 2. 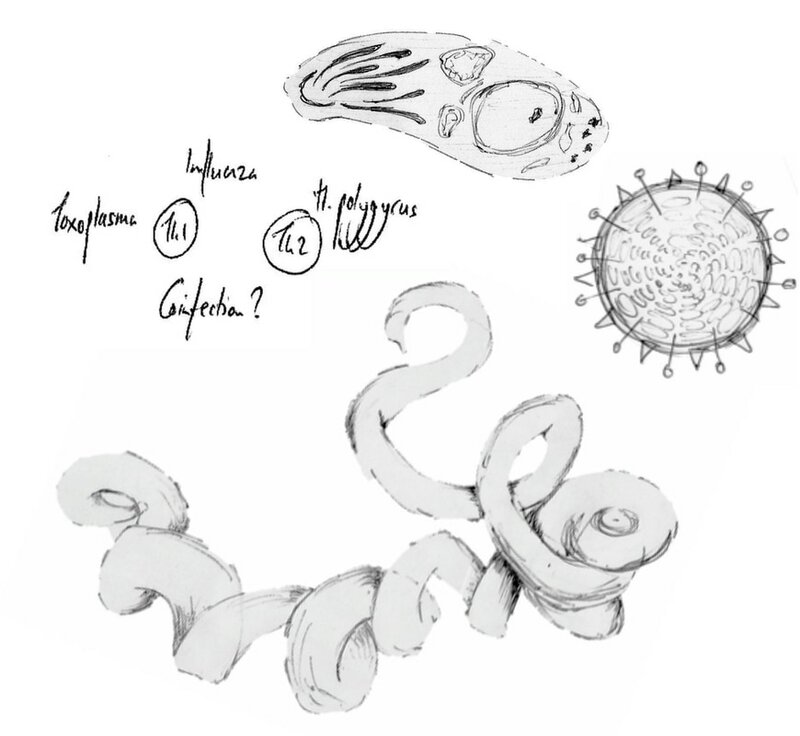 What happens when multiple pathogens strike at once? 3. Is IL-10 a master regulator? How is IL-10 controlled? 4. 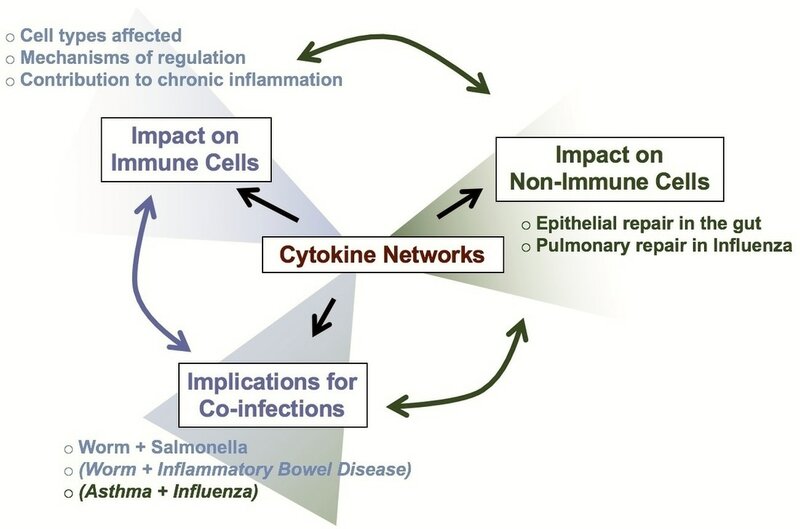 Do cytokines have an influence outside the immune system, in tissue repair? Influenza A, for a strong Th1 and CD8+ response that can be tracked using tetramer tools. Heligmosomoides polygyrus, a parasitic roundworm, for a potent Th2 response focussed on the gut and gut-draining lymphoid tissues. Toxoplasma gondii, a protozoan parasite that stimulates a systemic Th1 response, and then encysts in brain and muscle tissue. A series of transgenic models that use fluorescent proteins to reveal cytokine expression in vivo. ChIP-seq, RNA-seq and molecular analysis.